Published August 26, 2010 by Chincho the Pug. Filed under Shady Acres . The city of Houston sky never looked so blue! 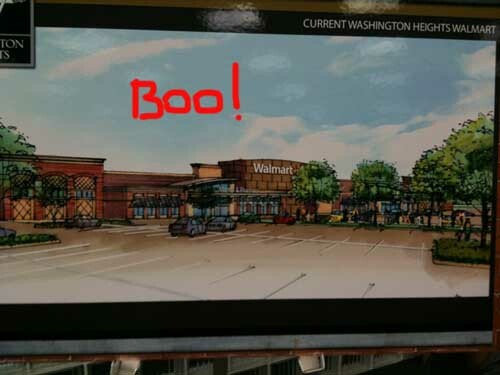 Well folks, whether we like it or not, Wally World is coming! Chincho and his entourage cannot wait to pee on the premises. © Copyright 2007- 2010 Chincho the Pug. All Rights Reserved.